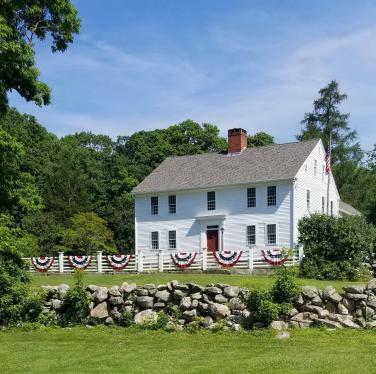 The Nathan Lester House, a 1793 farmstead including original outbuildings, is owned by the Town of Ledyard, Connecticut and open to the public. 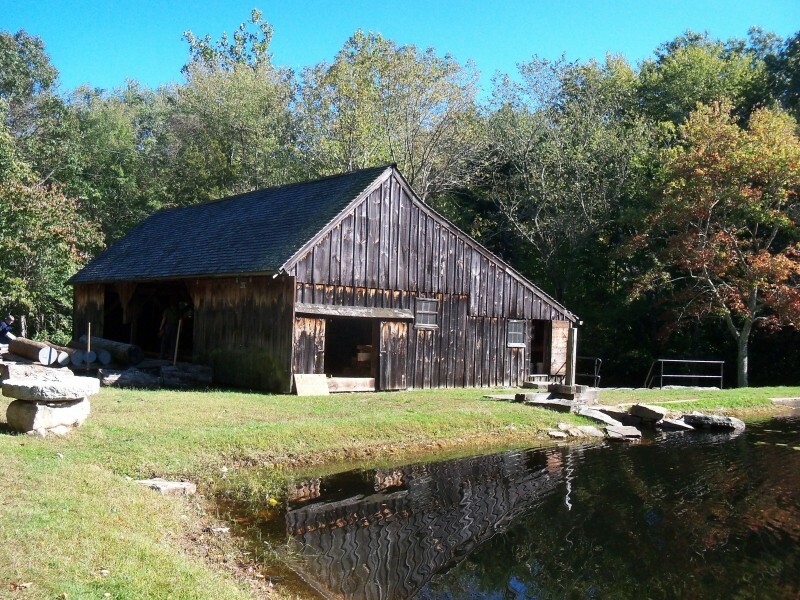 Ledyard's 11-acre Sawmill Park includes a rare surviving water-powered up-down sawmill, shingle mill, blacksmith shop with working blacksmith, a gristmill, ice harvesting equipment, and other mill artifacts of the Industrial Revolution. The functioning mill museum is located in an 1860 restored building. Ledyard, Connecticut, (population 15,000) is located in southeastern Connecticut along the Thames River. Native American people have lived in the area for thousands of years. Today the Mashantucket Pequot Tribal Nation is located mostly within Ledyard’s borders. By 1729, the community that would become Ledyard was already designated by the Connecticut General Assembly as the North or Second Society of Groton. Ledyard was incorporated in Connecticut in the 1830s, and the town was named after Colonel William Ledyard, the colonial commander that defended Fort Griswold against British troops in 1781. The fort had a strategic location by the Thames River. The main economic base at that time was diversified farming. In the 1700s the Thames also became an important trade route. When the railway came to town and became the main means of transportation and shipping, the river lost its importance. The railway also increased suburban development, and the agricultural segment of the economy decreased somewhat in importance. Suburban development is still going on in the area, located between New York City and Boston, even though agriculture remains one of the most important parts of the region’s economy. Two main attractions in Ledyard illustrate the agricultural and early industrial history of the region. The Nathan Lester House, a 1793 farmstead including original outbuildings, is owned by the town and open to the public, as is the Ledyard water-powered up-and-down sawmill from the 1870s. Ledyard also is home to the Mashantucket Pequot Museum and Research Center, which presents the history and culture of the tribal nation, other tribes, and the natural history of the region. One of Ledyard’s famous annual happenings is the Harvard and Yale regatta on the river. Every year since the 1870s, a rowing camp has been located at Gales Ferry Village, and the regatta has been arranged. This makes it the longest running intercollegiate athletic event in the United States. Ledyard has received a Preserve America Grant of $59,000 for a Historic Resources Digitization Project. The town plans to increase the awareness of its historic resource and aid the development of heritage tourism opportunities by updating and digitizing its town-wide architectural survey and creating an online, searchable database of the survey. It will also add planimetric data to its GIS and create GIS maps that highlight Ledyard’s cultural resources.